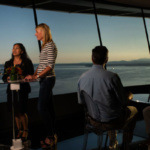 Olson Kundig has completed work on the Century Project, a $100 million renovation effort aimed at upgrading and retrofitting the Seattle Space Needle’s iconic Top House. 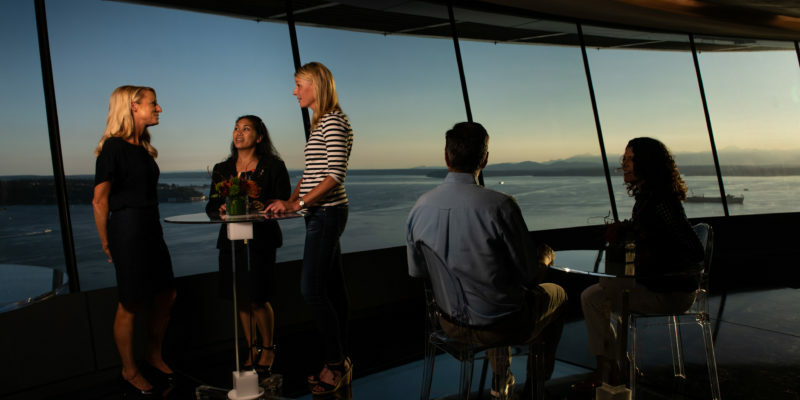 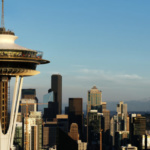 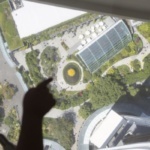 The project comprises the most extensive set of renovations undertaken in the 55-year history of the Space Needle. 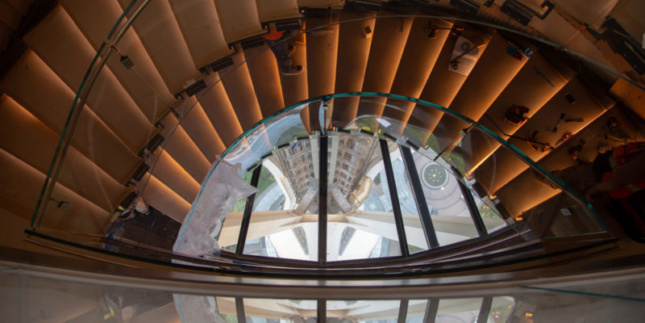 Changes to the structure include replacing metal panel cladding with floor-to-ceiling glass, replacing the motor for the Top Houses’s rotating restaurant, and reconfiguring the exterior wrap-around observation areas to be more open and transparent. 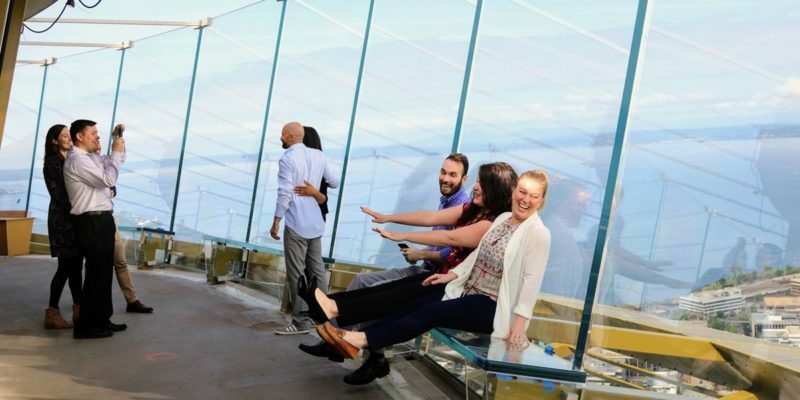 The observation deck platforms have been reconfigured to include integrated benches along exterior partitions made from tempered glass. 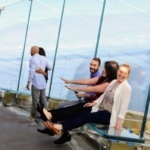 Here, metallic “caging” barricades have been removed and replaced with tempered glass. 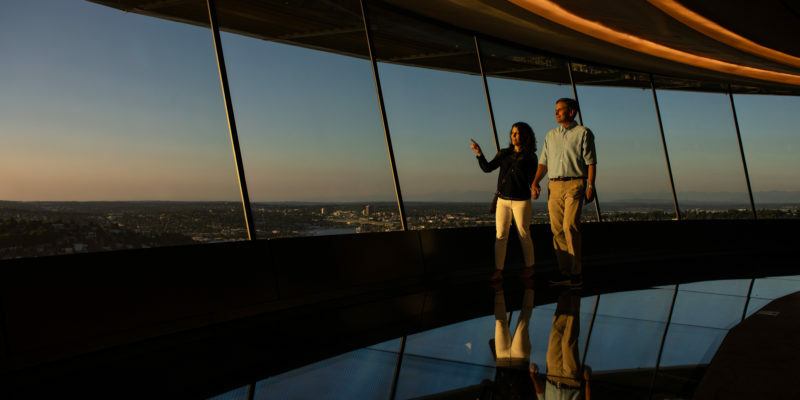 The effect is one of sheer transparency, with the Top House now providing unobstructed, 360-degreeds views of the city, which in recent weeks has been choked with smoke that has wafted into the area from nearby wildfires burning in Siberia and Northern California. 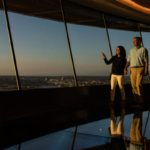 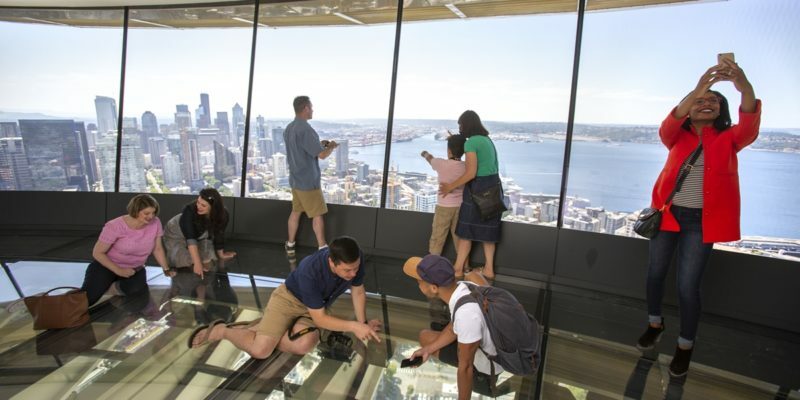 Perhaps the most eye-popping change is that the floors within the Top House have been converted to glass, giving visitors to the rotating restaurant 520-foot high views of the sprawling Emerald City below. 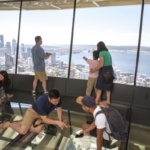 The new flooring is made of 10 layers of glass, including a so-called “scuff layer” that can be removed and replaced without compromising the floor’s structural integrity. 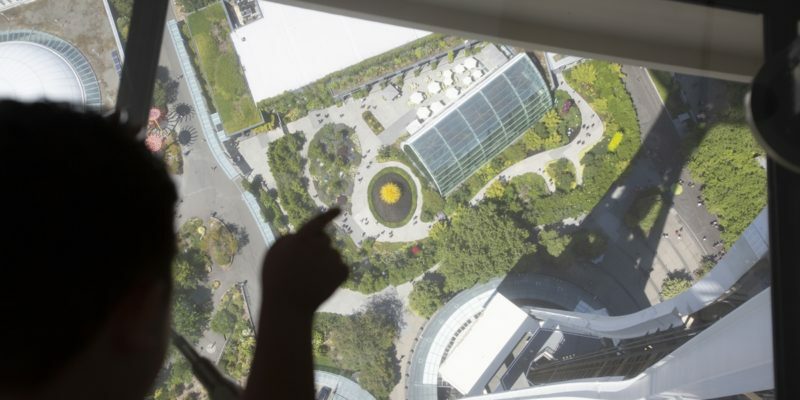 The spinning floor can rotate at variable speeds and is capable of completing a rotation in anywhere between 20 and 90 minutes, depending on the setting. The project also brings extensive ADA-related upgrades to the pinnacle. 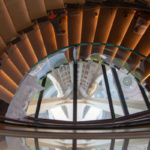 New York-based Tihany Design has provided interior design services throughout the project, including for the restaurant. 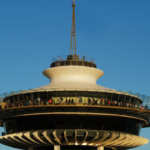 The 600-foot tall structure was originally designed by Edward E. Carlson, architect John Graham, and Victor Steinbrueck for the 1962 World’s Fair. 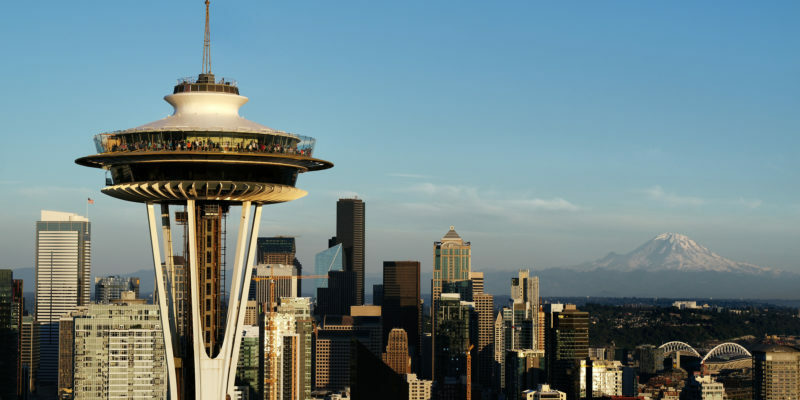 When completed, the Space Needle was the tallest structure west of the Mississippi River. 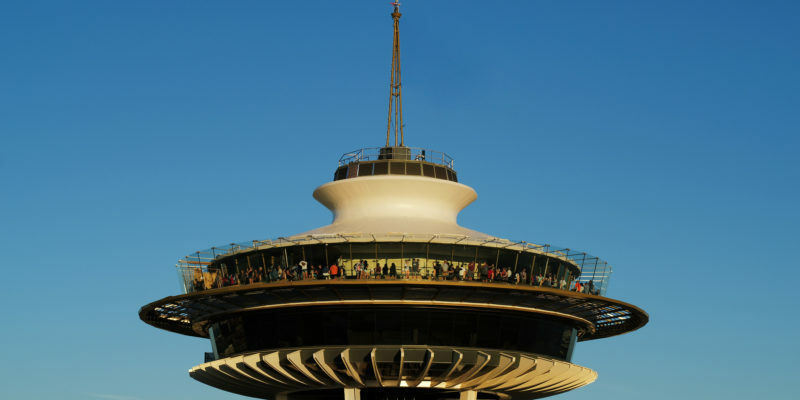 The Space Needle is now open to the public.